good literature and medical advice. 3.3.1 How old is aromatherapy? 3.4 Production of essential oils. This FAQ is still under construction. I started these FAQ pages a long time ago to help newcomers to the idma aromatherapy mailing list. The information has now become part of the AGORA project too. I hope to add more and more items and images. This is a collective effort: it would have been impossible to create the FAQ without the help of many dedicated people. There are new aromatherapy mailing lists now and every day people with a lot of questions are joining these lists.. I hope that these FAQ pages will allow many of them to use essential oils in a safe way and be able to improve the quality of their life. "Aromatherapy is the use of essential oils for the improvement of physical/mental health, for well-being, or just for fun." I call them the French school of aromatherapy, which uses a lot of essential oils orally, and the Anglosaxon school, which has banned this method of using essential oils. For instance for me, here in Belgium where I live oral use of essential oils is quite common. and only with pure essential oils that do not have toxic components. because they work so rapidly! alcohol), or dissolved in honey. The resulting mixture is taken orally in a similar way as tinctures. There are some commercial products on the market with a mixture of essential oils and tinktures. No problems are recorded for these products. I also understand that you can easily be sued in the US if you hurt someone by dangerous or bad advice. This is less evident here in Europe. This could IMHO explain the reluctance of most US authors to write about oral use of essential oils. >When someone speaks of 'neat' Lavender, Please explain what 'neat' refers to!! Simply "Undiluted" not mixed with anything else..
make sure you are aware of all the safety data. gentle but it's an arborescent and needs to be treated with respect. information to any (especially new) customers (if you are in business)! warning about ingestion of EO's excessive. a lock and key to keep EOs in. The same should apply to any medicine chest. grandparents or relatives and friends where things are not put up. dependent on dose and the person receiving the dose. certainly also be weapons of death. may treat a substance differently. And human metabolism changes with age. certainly medications may interact and make the toxicity greater or less. accessible on the web at http://www.ars-grin.gov/duke/index.htm. your mouth. And don't take it for amusement! These are powerful chemicals.
. . . There is a lot of dispute about which oils are "safe" and which ones aren't, and this varies from country to country as well as between different authors. My head was going round in circles when trying to find out about toxicity of some of the oils that seem to be good for lice, and also for birch EOs. And then there's the pennyroyal oil debate, which Martin Watt said he wrote about last year in Aromatic Thymes. And the book on EO safety by Tisserand and Balacs lists some oils as safe which others don't (no, don't ask me which ones - I don't have the book in my possession). I strongly suspect that the information isn't always known, so people extrapolate or use info from other people's books. . . . .
On availability of the more toxic EOs: I know that some companies won't sell the more toxic oils to the general public, though again I think that that varies between countries. I think that some oils are available in Iceland that are not sold to the general public by the same company in the UK. And I remember seeing some oils, such as aniseed, for sale in a UK shop which I felt should not have been for sale (and I don't remember seeing any particular warning with these oils). I feel that the more toxic oils should only be dispensed if a safety warning/ usage guidelines are given with them. Colophony resin x Peru balsam x Benzoin x Turpentine x Peppermint. With external and specially oral use the oils should be changed reglulary. from the French Drome region and also Lavandula lavendulaefolia, Tanacetum vulgare, Artemisia vulgaris, Artemisia absinthium and Calamus (Acorus calamus). Some asthma patients can react in a negative way to different essential oils, during or after a massage or even with the use of a nebulizer. 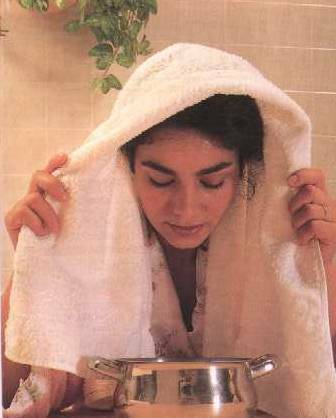 It is very difficult to establish a list of these oils, due to individual sensitivity. I have very good results with these people with the use of Hyssop (Hyssop montana canescens (ex decumbens) in nebulizers, either alone or in a synergy with other essential oils. The medical use of essential oils is much older however. odorous plant material of a single botanical form and species with which it agrees in name and odor...In exceptional cases, the essential oil may be formed during processing when plant tissue is brought into contact with water. A few eo's represent volatile products formed during destructive distillation of the natural raw material. essential oils when distilled subsequent to maceration. The maceration may start off a fermentation or an enzymatic process, neither of which are physical processes. See Almond Oil, Bitter, and Wintergreen Oil. They have been under analysis for a long time. Currently, many (but not all) chemical components of essential oils are known (terpenes, esters, coumarins, alcohols, phenols ...). a very labour and time consuming way of obtaining the essential oil. hence absolutes are usually quite expensive. lengths of time in the still. water be saved and also used. This is the Hydrosol or Hydrolat, e.g. a blue component called chamazulene which is only present after steam distillation. 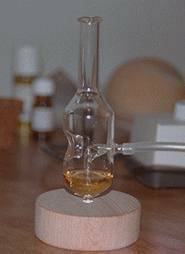 Go to Michel Vanhove's distillation images page : detailed images of wild lavender distillation. - adding an essential oil to plant material and distilling them together, again producing one oil. The price of these oils would be prohibitive to most consumers, those oils would only be accessible to rich people. For instance Melissa officinalis yields only 0.014 % EO! This is about 1 liter for 7 tons of Melissa! The yield of Melissa is still high compared with Tilia sylvestris and Acacia decurrens (Mimosa). These oils are often extracted with solvents, to provide a higher yield, but this rules them out for medical use. So some distillers in France (and probably also in other countries) produce these oils by codistillation. Two methods are possible: the distillation of two botanically different plants, or adding essential oils together with the plant during distillation. 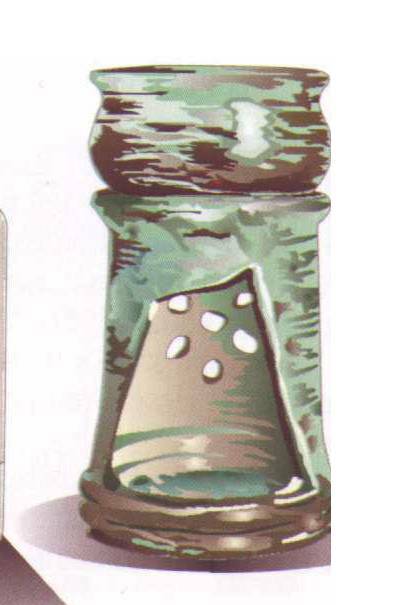 The product obtained will have similar medical actions to the pure essential oil. Here the experience and knowledge of the distiller is very important: the choice of synergy is not an easy one. the production method used, either explicit or in a code. Expression is used only for the oils in the peels of citrus fruits. It involves pressing the outer layers of the peel mechanically. The oils are then collected. For theraputic oils, it is best that the oils have been "Cold Pressed". This keeps the properties of the oils constant compared to the methods where heat is also used to obtain more oil from the peel. CO2 Extraction A relatively new method of extracting essential oils, particularly for the food industry. The theraputic properties of these oils are still being assessed. CO2 extracted oils are said to resemble those of solvent extracted oils (absolutes). Susan, here are two references to CO2. 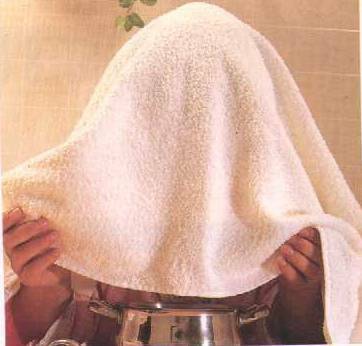 It is one of the most modern methods of extraction, but also the most expensive. 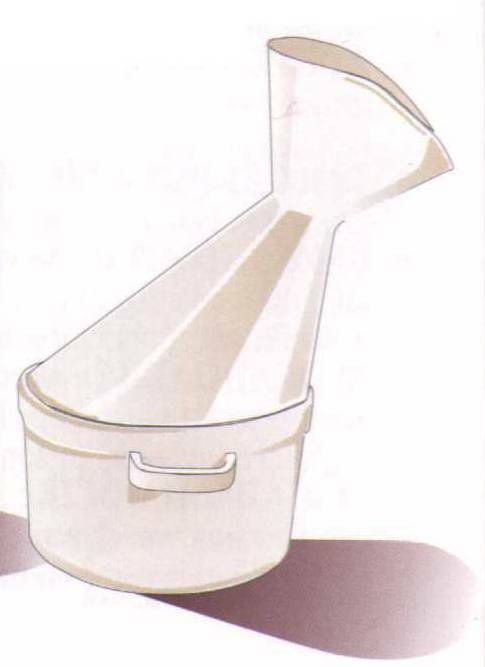 It consist of passing a current of CO2 through the vegetable mass, which, by increasing the pressure, bursts the pouches of essence and carries off the aromatic substances. Diverse studies tend to prove that this process respects integrally the original essence. which uses carbon dioxide at very high pressures and extremely low temperatures. With this method, more top notes, fewer terpenes, a higher proportion of esters, plus larger molecules, are obtained. The resultant oil is said to be more like the essential oil in the plant, as many terpenes in a distilled oil seem to form during the distillation process, which also breaks down some of the acetates (esters) in the plant material. of CO2 left in them - they should be excellent theraputically, although this needs to be verified for each oil on account of their different compositions. At the moment the price is high; perhaps after a number of years, when the equipment has paid for itself...the prices will be lower. difficulties to overcome (sometimes an emulsion is produced), but I am tempted to try them! This method was first applied to flowers in 1835 by Robiquet. (J.Pharm. 21 (1835), 335. Buchner's Repert. f.d.Pharm.54 (1835), 249. The solvent penetrates the flowers and dissolves the natural flower perfume together with some waxes and albuminous and coloring matter. The solution is subsequently pumped into an evaporator and concentrated at a low temperature. After the solvent is completely driven off in vacuo, the concentrated flower oil is obtained. Thus the temperature applied during the entire process is kept at a minimum; live steam, as in the case of distillation, does not excert its action upon the delicate constituents of the flower oils. Compared with distilled oils the extracted flower oils, therefore, more truly represent the natural perfume as originally present in the flowers. Despite this obvious advantage the volatile solvent process cannot entirely replace steam distillation, which remains the principal method of isolating essential oils. 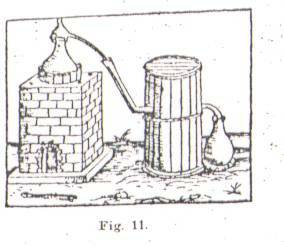 Steam distillation, in most cases, is a simpler process: by employing portable direct fire stills, distillation can be carried out even in remote and primitive parts of the world, whereas solvent extraction necessitates complicated and expensive apparatus, and a crew of well trained workers. It's good to mention that in modern, medicinal-orientated French aromatherapy the use of solvent extracted oils is not permitted: the possible residues of the used solvents are contra-indicated for oral use.